Laura Lippman has written 21 crime novels. Her latest, “Sunburn,” features two strangers who meet in a small town in 1995. 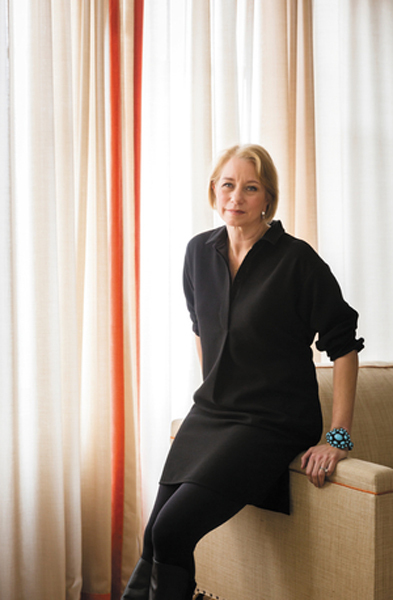 Laura Lippman (Medill ’81) graduated from Northwestern with a degree in journalism. However, with the encouragement of an English professor at NU, she has since published 21 crime novels and now considers herself a full-time fiction writer. Her most recent novel, “Sunburn,” tells the story of a mysterious woman who appears in a small town in 1995 and attracts the attention of an equally enigmatic man. The Daily: You’ve written many crime novels before. How would you say this one is different than the others? Lippman: This book is the first one I’ve written that really falls into the a Noir tradition, in that it takes characters who will stop at nothing to get what they want. That’s not something I’ve done before. I certainly — because I write crime novels — have written about lots and lots of people who have done terrible things. This is probably the first time I’ve asked readers to have empathy for those (characters) and to try to understand why the characters are doing what they’re doing and how they’ve strayed so far from conventional morality. The Daily: You seem to focus heavily on the characters in this novel. Do you believe that characters or plot are your priority when writing fiction? Lippman: Character drives plot. Plot serves character, not the other way around. In order for stories to make sense, it doesn’t matter how intricate and twisty they are unless they are absolutely true to the characters who are living them. I’m not really interested in amazing twists. I’m happy if people think I’ve pulled them off, but what I’m trying to do when I sit down to write a crime novel is create characters who are vivid and interesting to the reader. I think a lot about that reader who reads once they understand the story, once they think they’ve seen it all. It’s my belief that the way you keep that reader in the story is through character. The Daily: Do you have any plans for the future? Lippman: This (fiction writing) is my full-time job. It has been my full-time job since 2001, so I try to write a book a year. The one I’m working on right now is historical, even though it happened in my lifetime. It is in fact a newspaper novel — I never saw that coming, I really didn’t.